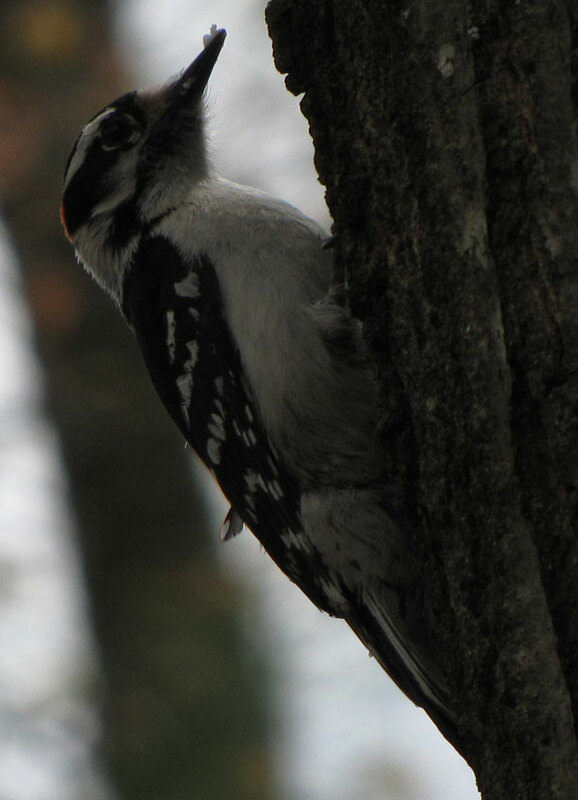 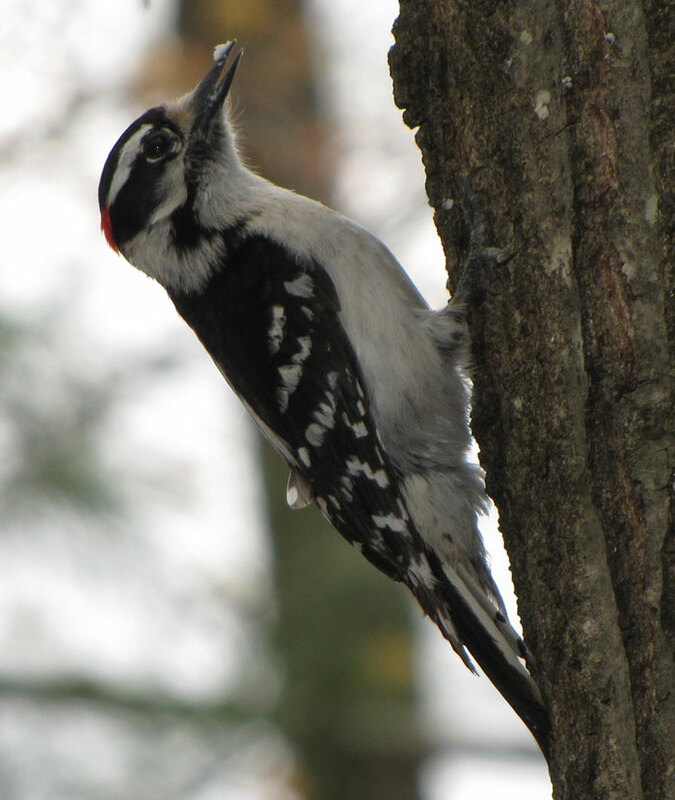 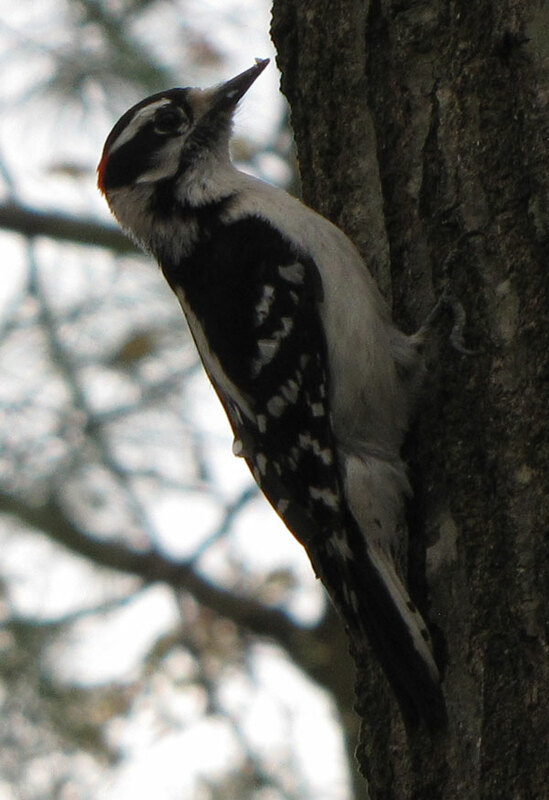 Downy woodpeckers are gorgeous birds with black and white feathers. 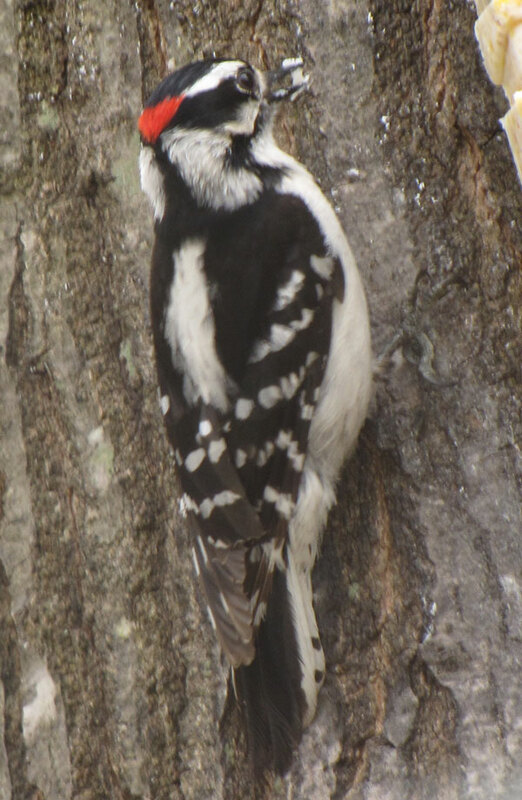 The males have a red spot on their heads, while the female does not. 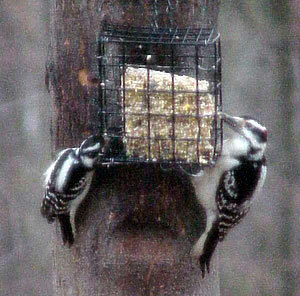 Downy woodpeckers love to eat suet. 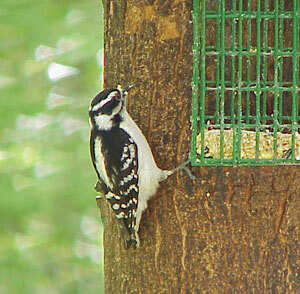 In this image you see the downy, on the left, compared with a hairy woodpecker on the right. 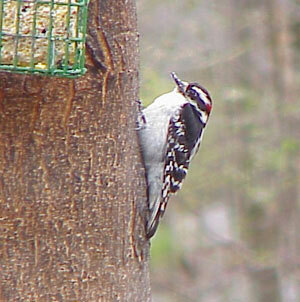 Note how the downy has a shorter beak and a smaller size. 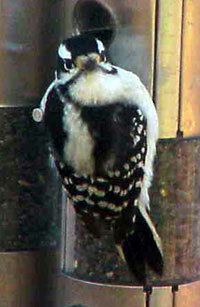 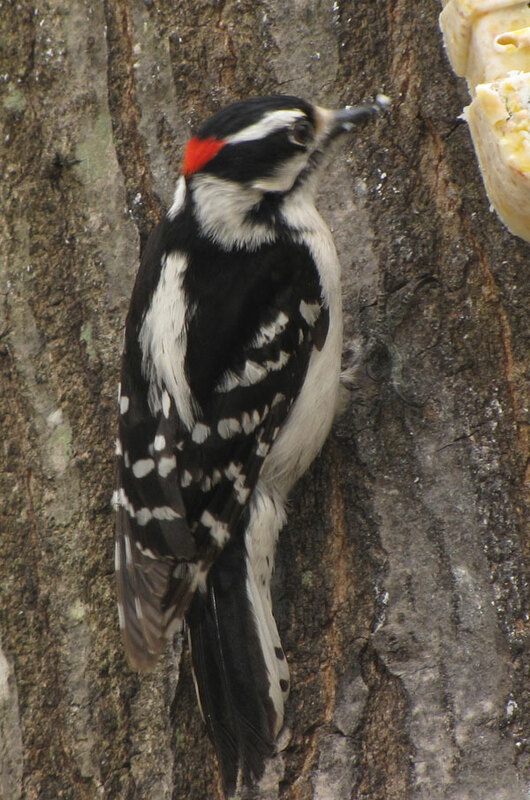 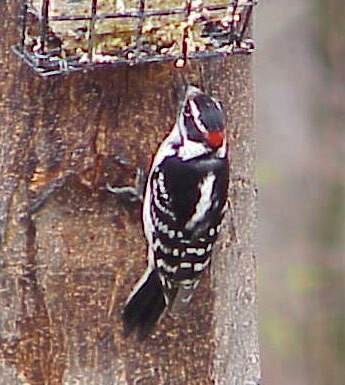 Here are five more photos of a male downy woodpecker, at a suet feeder.